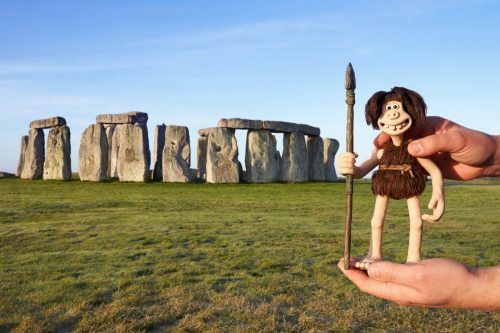 AARDMAN and STUDIOCANAL are delighted to launch EARLY MAN QUESTS in partnership with ENGLISH HERITAGE this February half term, and to celebrate Dug paid a visit to one of their most famous sites – Stonehenge! Walk in the footsteps of your ancestors in search for Dug, Goona, Hognob and the rest of the Early Man tribe at 13 historic locations around England. Follow the clues and complete the quest to uncover centuries of history in one day and enter for the chance to win tickets to an exclusive outdoor screening of EARLY MAN at Stonehenge on Saturday 26th May.